Share your action stories with us! 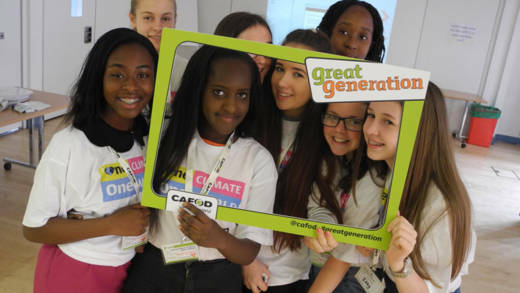 Setting up a social media account is a great way to share the volunteering you've been doing with CAFOD, not just so that we can hear about it and celebrate it, but also so that other people can get inspired. 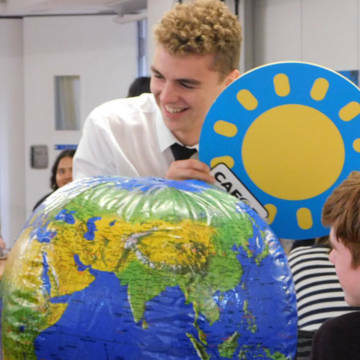 Check out the St Joseph’s College young leaders’ account @cafod_sjcr on Instagram. Tag @CAFOD in your tweets, Facebook posts and Instagram pics, and we’ll retweet and share our favourite ones from the main CAFOD accounts! It’s great to take photos of the events and activities that you lead. It’s a fantastic way to share your message further, inspire others and evidence your volunteering. To keep everyone including yourself safe, please follow these guidelines. Before you share a photo of a young person online or in a newsletter, make sure you have written permission from a young person’s parents if they’re under 16. If they’re over 16, they can give their own permission verbally or in written form. school parish name or logo. Do check with your school or parish safeguarding officer as they can tell you about your specific school or parish’s guidelines, as you must follow these. Your school may have photo permissions already, do ask!